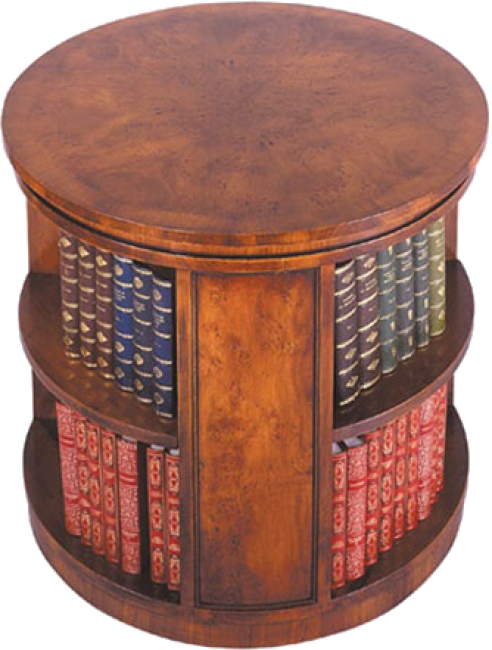 Round book table with pie-shaped veneers on top. Open shelves on all sides. Plinth Base. Available with a revolving base. Pictured in Yewwood.